It has been a while since we’ve been able to examine my fortunes and failures as a MLS Fantasy Manager. Week 13 finally finished up in the fantasy game and the slide for WVH AC continues – thankfully it is not as big of a slide as FC Dallas is currently on. Picking this team nearly two weeks ago may have been the issue with the low 72 points. Okay, it may not be that low but I definitely expected better out of some players (I’m looking at you Kenny Cooper). 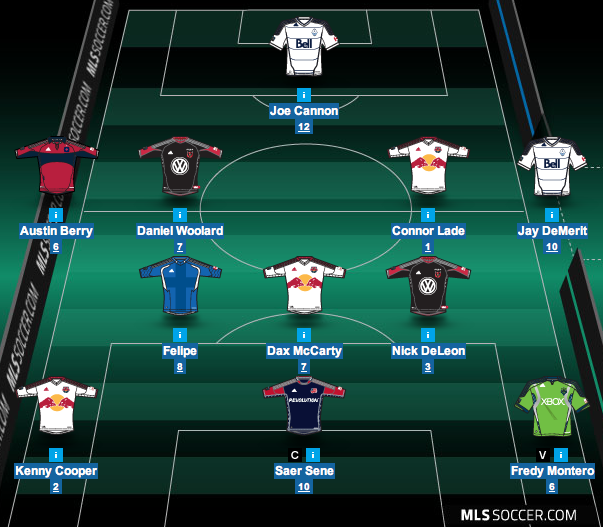 Placing Saer Sene as my captain was a total gamble but the Revs did have two games in this round. Fredy Montero and the Seattle Sounders did not have a great round losing 4-1 to Felipe and Montreal. But I’ll take the cool 72 points for the week. Definitely better than my previous showings and with more games on the horizon, I hope to get this team back where it was in April and May. Going into the next round I’ll probably continue few changes as this round does give you three full transfers. May take the time to make a whole sale change in some ways on this team. How is your team doing so far? Did the long break hurt or help you?